Though there is a strong seasonal pattern that drives their warranty costs up in the summertime, companies in this sector have generally been able to reduce those costs from year to year. Even the companies making warranty-intensive X-ray and laser equipment have been cutting costs in recent years. Warranty claims in the medical and scientific equipment industry fell 7% in 2010, from $742 million in 2009 to $690 last year. That was the second annual decline in a row, and the fourth decline in the last five years. As can be seen in Figure 1 below, warranty claims for the makers of medical and scientific equipment peaked in 2008 at $818 million, a figure that was slightly higher than 2005 levels. We're tracking a total of 76 current and 77 former warranty providers who make either medical or scientific equipment and who report their warranty expenses in their quarterly and annual financial statements filed with the U.S. Securities and Exchange Commission. We lost seven companies in 2010 and seven more in 2009 through a mixture of acquisitions and bankruptcies. But that's actually a bit below the pre-recession rate of attrition. We lost 11 companies in 2007-2008 and 10 companies in 2006-2007. Concurrently, this is one of the few sectors in which new warranty providers are frequently being created. Since 2006, we've added nine new companies to the list, including ICAD Inc.; Iris International Inc.; Life Technologies Corp.; PLC Systems Inc.; Syneron Medical Ltd.; and Trimedyne Inc. The makers of medical and scientific equipment accounted for just under three percent of the claims and accruals counted in 2010 for all manufacturers. Both are somewhat above their long-term averages. In 2007, for instance, this sector accounted for only 2.3% of all the claims paid and accruals made by manufacturers across all industries. Accruals actually fell by a greater proportion than claims in 2010, and for only the second time in the past eight years, there were less accruals than claims reported within the year. This has an effect on warranty reserve levels, as will be shown in Figure 4. But in Figure 2 below, we're showing just the total for accruals by these medical and scientific equipment makers for the past eight years. Accruals fell by 9.6% in 2010, from $748 million in 2009. As with the annual claims totals, it's the second year in a row in which accruals fell, and it's the fourth year out of the past five. And it's the third time in those five years that the accrual total fell by more or grew by less than the claims total. The good news is that equipment sales rose by 7% last year, so claims and accrual totals as a percentage of sales revenue actually fell to their lowest levels ever in 2010. However, the claims and accrual rates calculated at year's end -- 0.7% for both claims and accruals -- were a bit above the rates calculated for the first and second quarters of 2010. The most remarkable thing about the data in Figure 3 is how the claims and accrual rates each peak during the third quarter of the year and fall to much lower levels during the first, second, and fourth quarters. We've remarked upon this phenomenon before, and readers have suggested it is tied to the college and university buying cycle, which in turn is tied to the opening of the school year. Is this the reason? Warranty expenses are concentrated into the months of July, August and September because schools are buying and fixing all their lab equipment at the beginning of each fall semester? In other markets, such as lawn equipment, motorcycles or snowmobiles, there's a heavy seasonal effect that's tied to the weather, which determines usage. You don't cut the lawn in winter, and you don't use a snowmobile in the summer. But you might want to get them repaired or replaced right before or right after their peak seasons of usage. The good news here is that the peaks have been lower for five of the last six years. And the spring/summer lows have been trending lower for most of the annual cycles since 2003 as well. And the claims rate, which has been as high as 1.16%, plus the accrual rate, which has been as high as 1.25%, have never been lower than they were during the spring/summer of 2010. If one thinks of the claims as the withdrawals and the accruals as the deposits, then the warranty reserve fund is the savings account that's used to pay warranty expenses. In Figure 4, we're measuring the collective balances of all the industry players at the beginning and end of each year. From 2003 until 2006, the end-of-year warranty reserve fund balance for the industry grew by 4% to 7% per year. But since 2006, the balance has fallen each year. In 2008-2009 the decline was only -0.3% and in 2009-2010 it was only -1.17%. But still, those were the third and fourth consecutive annual declines. Usually, the reduction of reserves is a reaction to a reduction in claims payments. But sometimes, it's merely a reaction to the need for higher earnings. If a company were to consistently make less accruals than they pay out in claims, its warranty reserve fund would contract and its reported net income would expand. In the medical and scientific equipment industry, we're happy to report, it seems to be a reaction to a reduction in claims. How do we know? We take the amount of claims paid each month ($52.7 million in the final quarter of 2010), and divide it into the amount of reserves ($712.7 million at the end of 2010). That equates to a reserve capacity of 13.5 months. What that means is that the industry as a whole is doing what it should: as claims fall, accruals fall by a little bit more, so the reserve balance also falls. But as is shown in Figure 5, the reserve fund balance hasn't fallen quite as fast as claims. The result is that the average capacity of the industry's warranty reserves has actually risen recently, from 11.3 months at the end of 2008 to 12.2 months at the end of 2009 and 13.5 months at the end of 2010. Capacity is still a bit below the average for all manufacturers -- as it has been all along -- but it's now at its highest level ever. This means that there's room for claims to increase, or for reserves to decrease, without significantly jeopardizing the capacity of the equipment makers to pay claims in the years ahead. This will be possible because their current capacity to pay claims (equal to 13.5 months) is significantly above its long-term average of 12 months. Now, let's take a look at a few of the industry's leading warranty providers. What we notice when we try to group the companies by product line is that virtually any company that deals with either lasers, X-rays, or other radiation technologies almost always have a much higher-than-average warranty expense rate. While the industry average for medical and scientific equipment is close to one percent, the average for radiation-emitting equipment is closer to three or even four percent. Take a look at Varian Medical Systems, makers of digital X-ray medical imaging systems, X-ray-based cargo screening systems, cancer radiation therapy and radio-surgery equipment, and linear accelerators. In Figure 6, the eight-year warranty expense record of the company is detailed. Since 2003, the company's average claims rate has been 3.1% and its average accrual rate has been 3.3% of revenue. However, in the fourth calendar quarter of 2010, which for Varian corresponds the first quarter of a fiscal year that began on October 1, 2010, both the company's claims and accrual rates fell to a new low rate of 2.3%. Neither rate had ever before been below 2.6%. Meanwhile, the quarterly claims total of $10 million was the lowest since the middle of 2007. At Danaher Corp., meanwhile, the claims and accrual rates have averaged very close to 0.9% for the past eight years, which is almost exactly the long-term average of the entire industry (Figure 3). Danaher, which makes dental tools and systems, life science equipment, and a wide range of test and measurement gear, also has operations in the automotive and aerospace industries. In Figure 7, we see a company that has managed to keep both its claims and accrual rates mostly within an 0.8% to 1.0% range. Those metrics were more volatile in 2003 to 2005, and indeed, both the highest and lowest measurements came in 2004. It's as if the company has slowly learned to manage its warranty costs over the past eight years. And that record would be echoed in the warranty metrics of other market leaders such as Agilent Technologies Inc.; Thermo Fisher Scientific Inc.; Medtronic Inc.; and Boston Scientific Corp. Even those that have problem-prone product lines such as pacemakers have been able to keep their warranty costs under one percent. At the other extreme, any company with a laser-based or X-ray-based product line is at the high end of the scale. This is true not only for Varian Medical Systems, but also for Sirona Dental Systems Inc.; Syneron Medical Ltd.; BioLase Technology Inc.; and Palomar Medical Technologies Inc.
BioLase, in fact, was forced to raise its accrual rate as high as 22% last year, as sales fell without much letup in claims. In the second quarter, the company set aside $1.06 million in accruals, against only $4.74 million in product sales. And it paid $840,000 in claims during the same period. 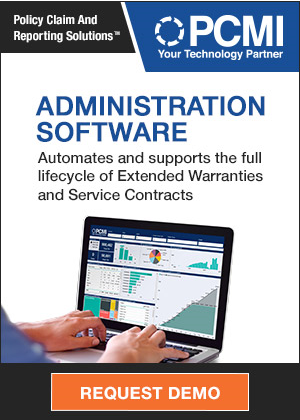 Readers needing more detailed snapshots of individual companies in either a PowerPoint or Excel format are invited to view the list of charts and spreadsheets available on the Warranty Statistics page. Hendersonville Water signs deal with Service Line and Warranties of America. Asurion raises prices, adds processing fee for T-Mobile service contracts. Toyota's recall and warranty costs up by ¥30 billion last year. Cadillac's certified pre-owned program now has 6-year 100,000-mile warranties. USGreentech announces 16-year warranty for Envirofill artificial turf. Riverside Motorcars accused of pocketing vehicle service contract premium. Service Net to offer two-year extended warranties for BlackBerry PlayBook. Printware announces Service Warranty Program through end of May. Wilkes-Barre mayor sends residents letter for Service Line Warranties of America. Dealer employee calls false loan applications "arts and crafts." Warranty Direct says a third of 3-to-10-year-old cars have mechanical failures per year. GWC Warranty moves headquarters from Avoca to Wilkes-Barre PA.
NHTSA probes Ford F-150 fuel tank complaints & warranty claims. NHTSA probes Mini Cooper steering complaints & warranty claims. Warranty number on work boots helps police identify burglar who wore them. Bankers Warranty Group gets ISO 9001:2008 accreditation. Baseball bat warranty says dont use in weather under 60 degrees. Warranty issues help GM find steering problem in Chevrolet Cruze. Iheanyi Frank Chinasa sentenced to prison for Cisco warranty fraud. Sealy accused of using mattress stains as excuse to deny warranty claims. Rolls-Royce's certified pre-owned car scheme includes two-year warranties. Asus says laptop's warranty began when it was made, not when it was sold. Tekelec says its gross margins were hurt by warranty charges. Safe-Guard Products promotes Randy Barkowitz to CEO and David Duncan to president. Boston Scientific offers new warranty program for cardiac devices. Statutory warranties last six years in Ireland on consumer goods. Results of IDC Manufacturing Insights' warranty survey released. Garage door opener's warranty doesn't cover military radio interference. Mepco Finance claims Warranty Administration Services owes it $7 million. Extended warranties: Great for retailers, not so much for consumers. Boat owners find ethanol-gasoline fuel mix causes costly repairs. Ethanol-free gasoline needed for outdoor power equipment. Prospective homeowners should do their homework on home warranties. Warranty on Fedoskino jewelry box given in royal wedding lasts 100 years. MBTA begins replacing defective concrete ties on commuter rail lines. MPP Co. Inc. unveils new website design. New book by Bob Lutz defends Chevy Volt, attacks the bean counters. Nebraska Supreme Court rejects NWIG-linked political defamation lawsuit. City of Wilkes-Barre PA partners with Service Line Warranties of America. City of Saline MI partners with Service Line Warranties of America. Navistar sues former auditor Deloitte & Touche for bad advice. Russia's new procurement regulations dictate terms of product warranties. Warranty now the selling point for some new car buyers. Vehicle Protection Association revises its Standards of Conduct. American LaFrance adds two dealers in New York. The pros and cons of getting a home warranty when buying a home. Dealers Warranty, aka Mogi, to pay Missouri $125,000 fine. Gulfstream Aerospace enhances its Airborne Product Support program. GM VP notes 45% reduction in warranty repairs since 2007. Maines seldom-utilized implied warranty law covers all but used cars. Four builders named in Tarion Warrantys 2011 Awards of Excellence. Signet's warranty refund policy called "cumbersome, unclear and unfair." Signet Financial Group closes shop as customers wait on refunds. Pros and cons of extended warranty services. Hyundai Canada tells customer in-service date cannot be changed. Team Group Inc. lengthens portable hard drive warranties to 3 years. Old Republic Home Protection appoints Gene Roberts regional VP. S&S Cycle to stand behind Big Dog Motorcycles engine warranties. Landmark Home Warranty selects 4CS iWarranty Home Warranty solution. A.M. Best affirms A- rating of London General Insurance Co. Ltd.
Solarschmiede offers warranty check service to plant operators in Europe. Lawsuit over car window etching anti-theft program moves ahead. Allstate Dealer Services to use Allstate brand for F&I products. Medical & Scientific Equipment Warranties: While most of the companies in this industry have relatively low warranty expenses, those whose equipment involves either X-rays or lasers spend a much higher percentage of revenue on claims. Yet those are the companies that have done the most to cut their warranty costs over the past decade. Medical & Scientific Equipment Warranty Report: Though product sales are down, warranty expenses are down by more. And while any equipment that uses lasers or X-rays has higher warranty expenses than units that don't, those manufacturers have cut their warranty costs significantly in the past decade.